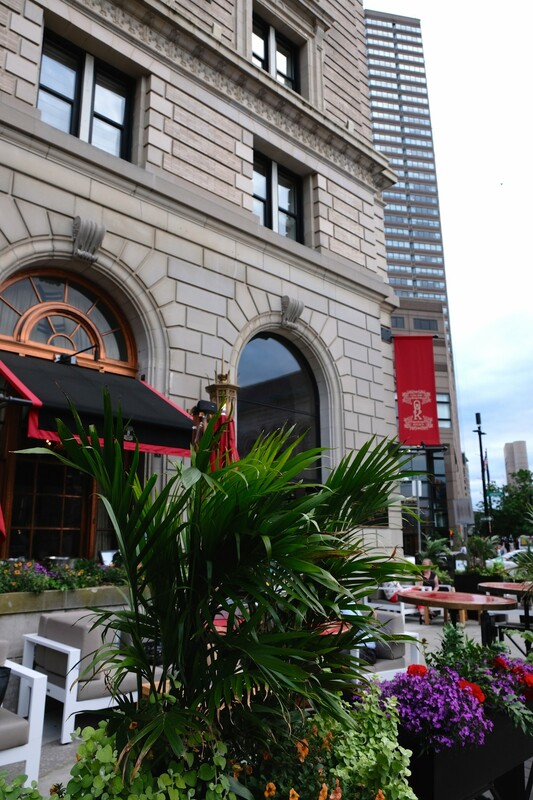 Patio season is by far my favorite season in Boston. 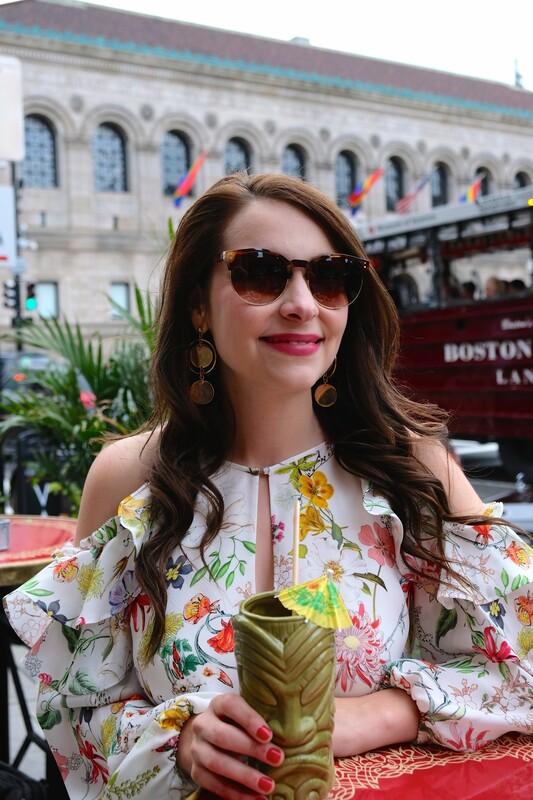 As soon as the temperatures even hint at warming up, our local restaurants faithfully set up their outdoor tables and chairs, welcoming all of the sunshine-deprived Bostonians to join them for an al fresco meal. 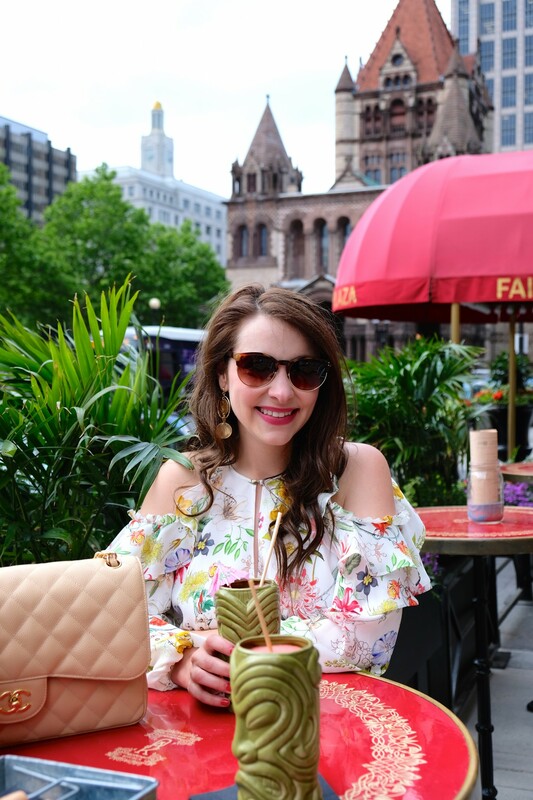 During patio season, which typically runs May – October here in the city, my husband and I adore frequenting all of Boston’s best patios when we dine out. 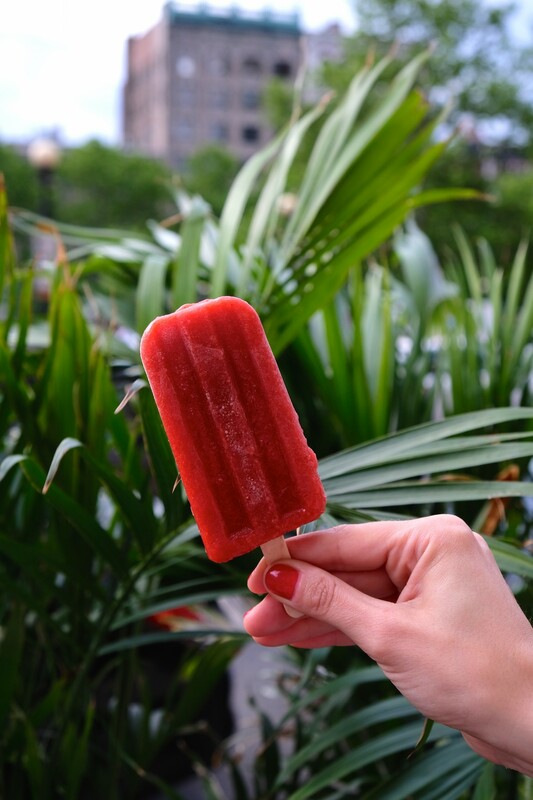 Whether its basking in the sunshine for an outdoor brunch or making the most of golden hour by sipping rosé (…and frosé!) 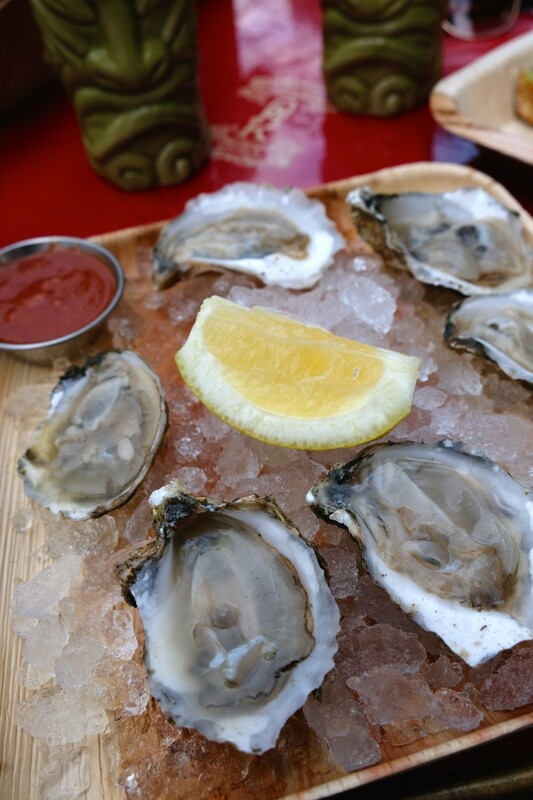 and oysters under the lowering sun, we try to soak up as much time outside at our favorite restaurants as we can! 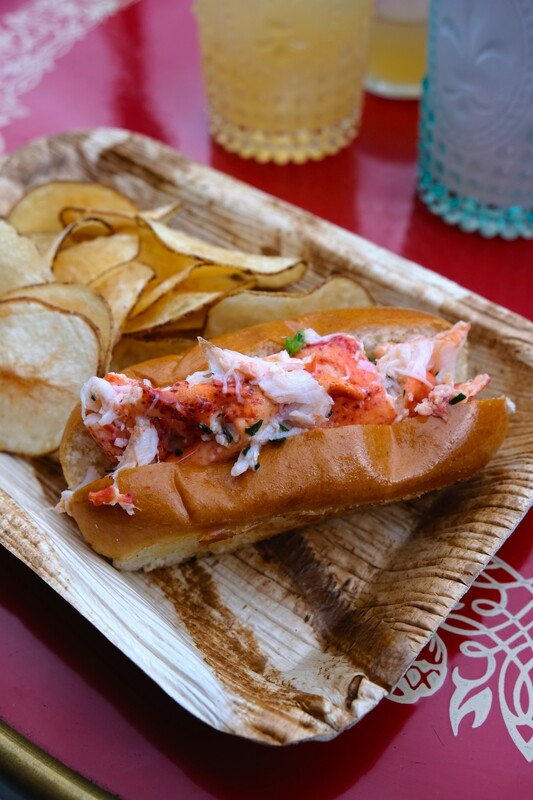 Each year, I compile a list of my current picks for outdoor dining in Boston. The truth is, I really love every patio in the city, so it’s so hard for me to choose my favorites. In fact, just within the last month, I’ve already been to a few of my standby’s from my previous round-ups (you can check those out, here and here). 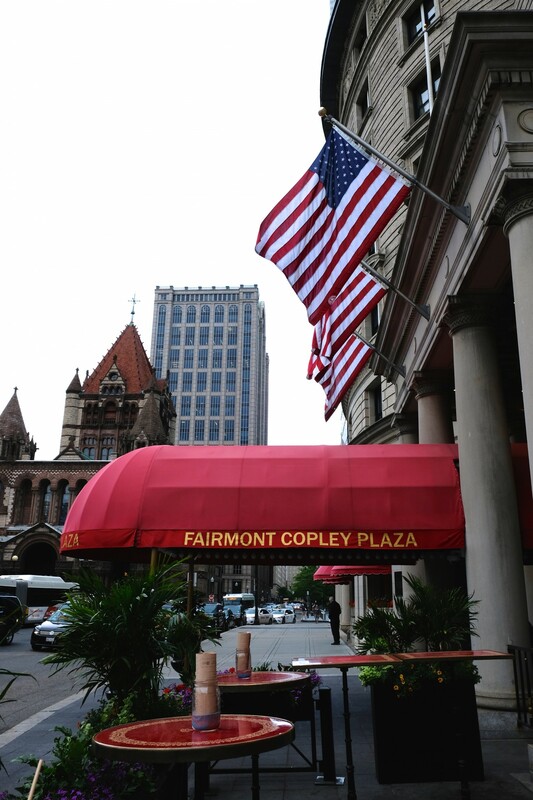 All of my friends and family know that the Fairmont Copley Plaza holds a very special place in my heart. My husband, Lyle, and I were married at this beautiful, iconic property back in 2011, and every time I visit, it brings back so many wonderful memories. When we said “I Do!” seven years ago (how is that even possible?! ), OAK Long Bar + Kitchen was the OAK Room, a classic Boston restaurant with an old worldly mystique, but less than a year later, it was renovated and reinvigorated as OAK Long Bar + Kitchen. I’ll admit, it took me some time to warm up to the idea of the OAK Room no longer being the OAK Room, but over the years, I’ve really come to adore OAK Long Bar + Kitchen. 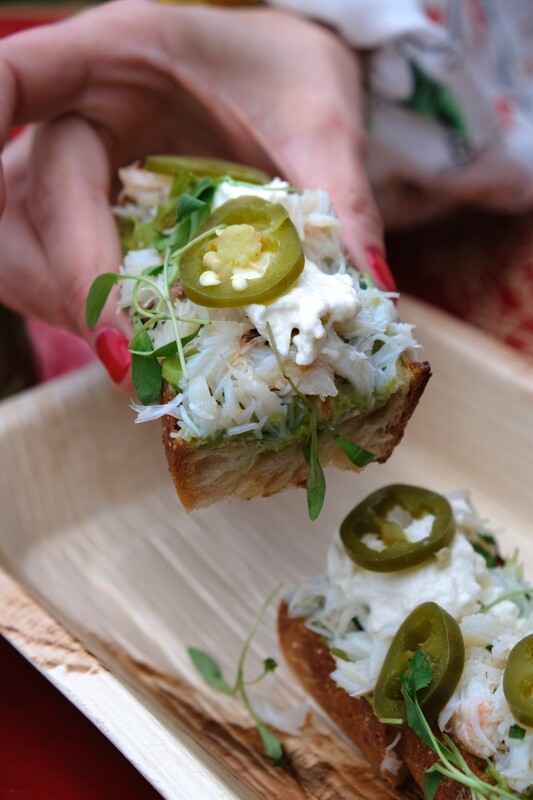 From its lively ambiance, amazing cocktails + food, and elegant yet fresh, contemporary decor, OAK Long Bar + Kitchen does justice to the rich past of the restaurant, while keeping it exciting and relevant for the present. I can tell you that I literally counted down the days until Burro Bar opened its doors on Washington Street in the South End. Mexican food is one of my favorite types of cuisine, and the South End, even with all of its delicious restaurants, was definitely in need of a neighborhood taqueria. The icing on the cake? Burro Bar’s quiet back patio, which is the perfect place to spend a summer evening sipping margaritas (the Cucumber is my favorite) and enjoying everything from Lobster Enchiladas to Mexican Pig Head’s Tacos. Adorned with bulb lights and nestled between Boston brownstones, I love the city feel of Burro’s outdoor space, but also how removed it is from the noise of the street. Every time I visit Cultivar’s beautiful patio in bustling downtown Boston, I get major decor envy. The flower boxes are always perfectly planted and I’m obsessed with the blue mosaic tiled tables that are scattered throughout the patio. 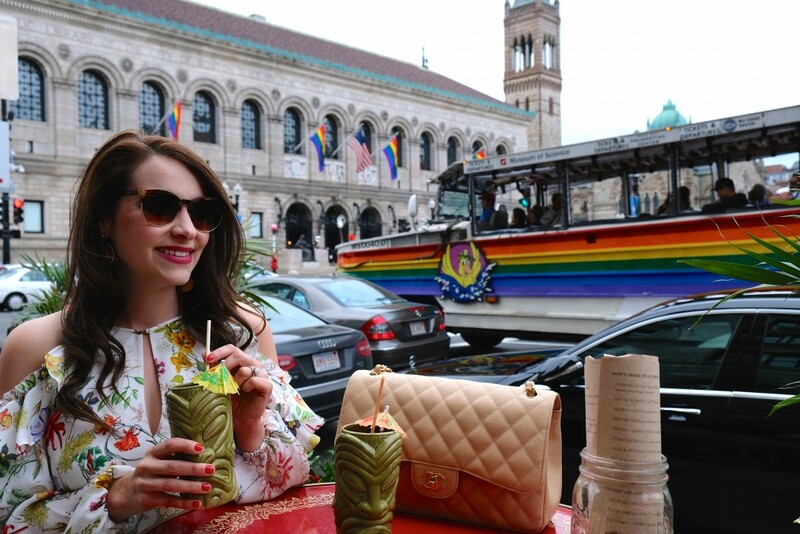 Situated across the street from the Old State House, I love taking in the view of historic Boston as I enjoy culinary delights from acclaimed Chef Mary Dumont. 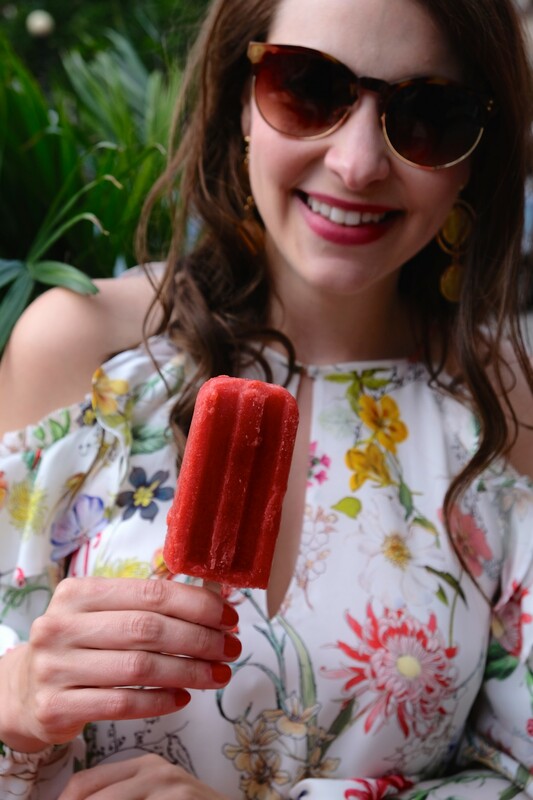 Beyond Cultivar’s amazing menu, its patio is the perfect meeting spot for an after work bite to eat or cocktails with friends. Speaking of which, don’t pass up one of the large format cocktails! 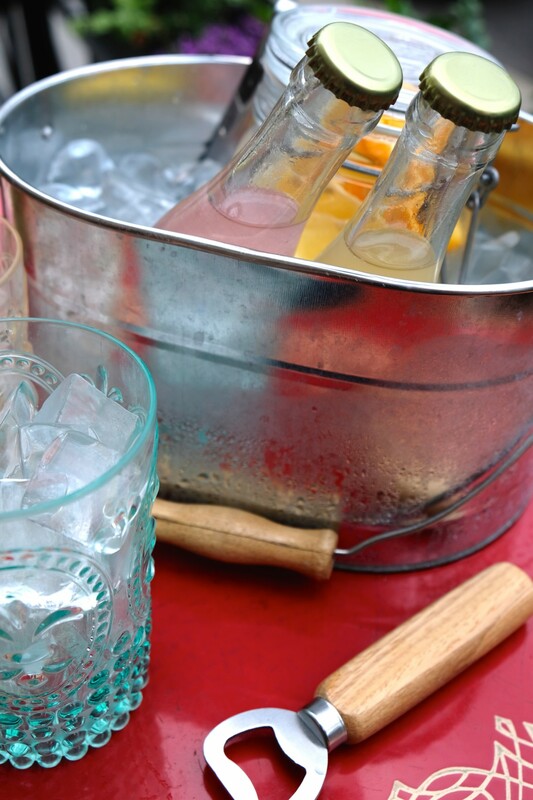 On a chilly summer night, you’ll find me at the outdoor fire pit, cocktail in hand. Fusing together flavors from all over Asia, Banyan Bar + Refuge has really made a name for itself on the dining scene since opening in 2015 in the former Hamersley’s Bistro space. 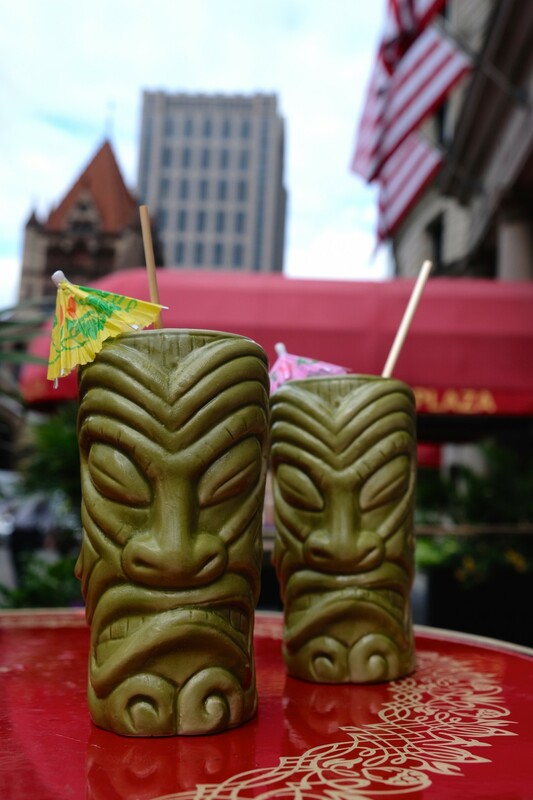 Located in the heart of the South End at the corner of Tremont Street and Clarendon Street, the patio at Banyan is always a lively place to grab a meal on a summer night. 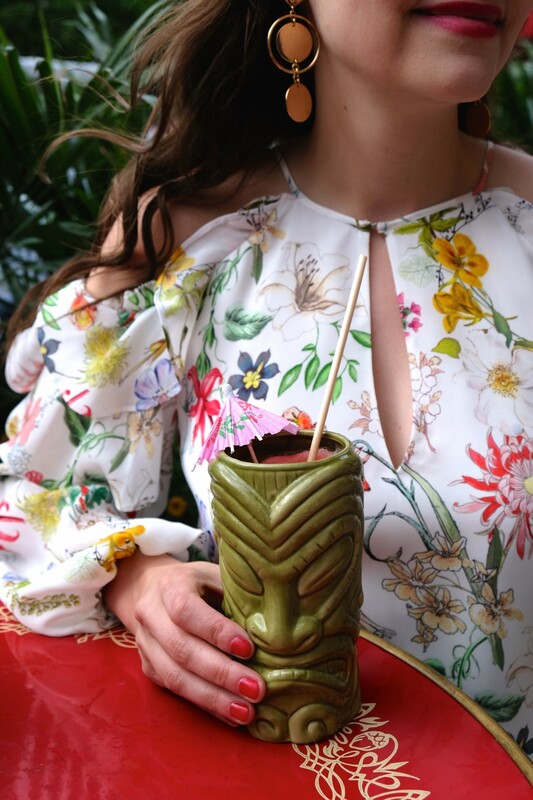 I adore the twinkling lights, colorful paper lanterns and lush greenery that line the perimeter of the space, and on a warm evening, the patio’s lounge area is an ideal spot to catch up with friends over craft cocktails (my go-to is always The Supreme Leader; super spicy but so good!) and shareable bites like Oyster Bao +Kimchi Fried Rice. Crazy as it may seem, I only tried Sweet Cheeks for the first time last year. Despite hearing glowing reviews for ages, I never ventured over to the Fenway neighborhood to experience celebrity Chef Tiffani Faison’s BBQ wonders for myself. But let me tell you, now that I finally have, I am obsessed. The only thing that could make a tray of brisket, warm biscuits, and mac ‘n cheese THAT much better is enjoying it al fresco, which is why the patio at Sweet Cheeks has quickly become one of my top picks. 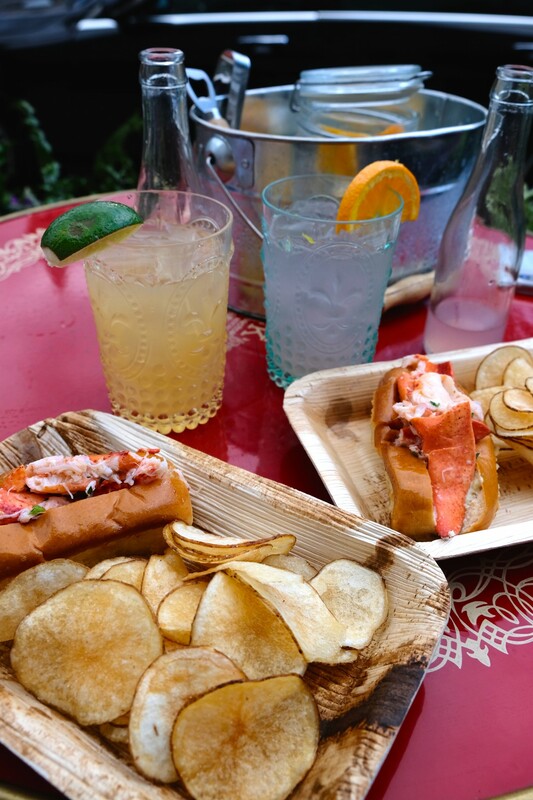 If you’re heading to Fenway to catch a game or are just in the mood for some good ‘ole Southern fare, this should be your spot. 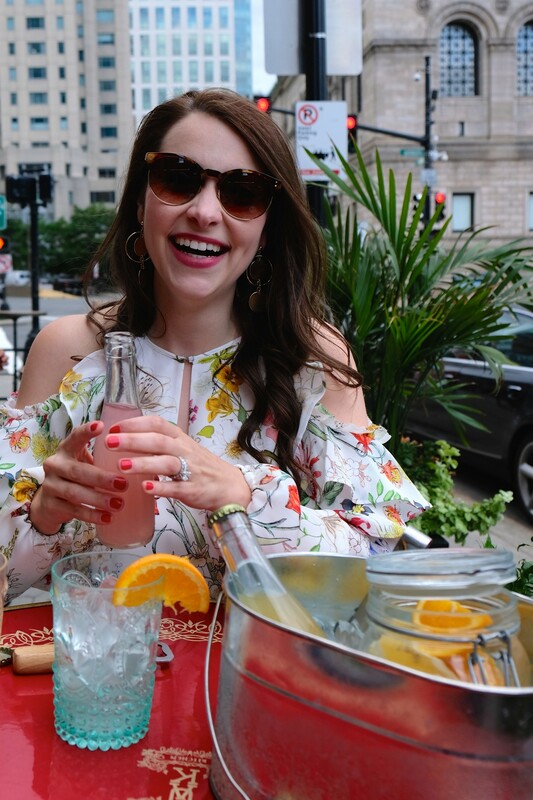 Besides the delicious food, I also love the people watching from Sweet Cheeks’ patio — Red Sox jersey after Red Sox jersey and so much Boston spirit you won’t know what to do with yourself!